Once you have created an account with Innoslate, you can change your password associated with your user account at any time. 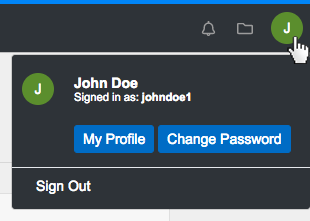 Within Innoslate, click the 'User Account' drop-down menu, located at the top right hand corner of your navigation bar, displayed as a green circle with your first initial. This opens the 'Change Your Password' menu, where you can update your Innoslate user account password. 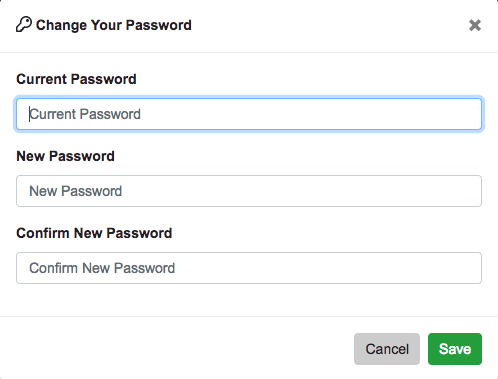 Enter your Current Password, then your New Password twice. 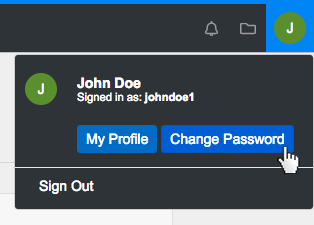 Click the 'Save' button to apply your Innoslate user account password change. * Note: The next time you sign in to Innoslate, you will need to use your new password. Within Innoslate, click the ‘User Account‘ drop-down menu, located at the top right hand corner of your navigation bar, displayed as a green circle with your first initial. This opens the ‘Change Your Password’ menu, where you can update your Innoslate user account password. 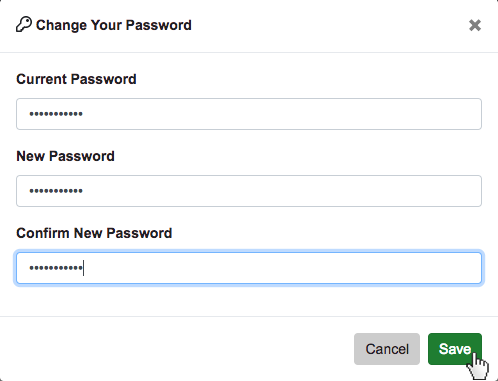 Enter your Current Password, then your New Password twice. Click the ‘Save’ button to apply your Innoslate user account password change.